​Last year, it was surprising how aggressive the San Francisco Giants were in the offseason. They made trades for Evan Longoria and Andrew McCutchen, and reportedly wanted to acquire Giancarlo Sta​nton's remaining 10 years and $325 million record-breaking contract. While they have an aging roster that has not done a lot of winning the last two years, the Giants have yet to make the decision to start a rebuild and could be major players once again on the open market. This has led some to believe that the ​Giants might just be the team that signs Bryce Harper to his huge new contract. ​​The most important piece to signing Harper, or not signing him, was set in place this week when the Giants hired Farhan Zaidi to be their new President of Baseball Operations. Zaidi was the No. 2 executive in the Los Angeles Dodgers' analytically-driven front office before taking this position from his former division rival. Zaidi is being brought in to rebuild the organization back to World Series contention, but still hinted that he does not expect to tank or go through a massive fire-sale either. 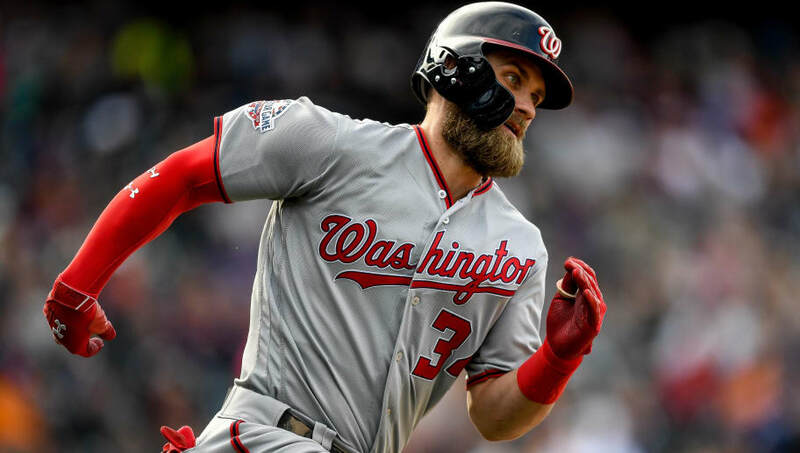 While that leaves the door open for free-agency acquisitions, it would be hard to see the Giants giving Harper the richest contract in MLB history. One reason why Zaidi will likely avoid signing Harper is because the contract is going to be for 10 years. Looking at the Dodgers free agent signings recently they have not given out long extension or contracts and instead have looked for shorter contracts at a higher average annual value. Zaidi was a big part of that decision making and will likely follow suit with the Giants.